It is cold out there but the firehose of media coverage is nowhere near frozen. HootSuite has just hit 3 million users this week and is growing faster than ever. We’re proud of what we’ve done and our future looks promising! 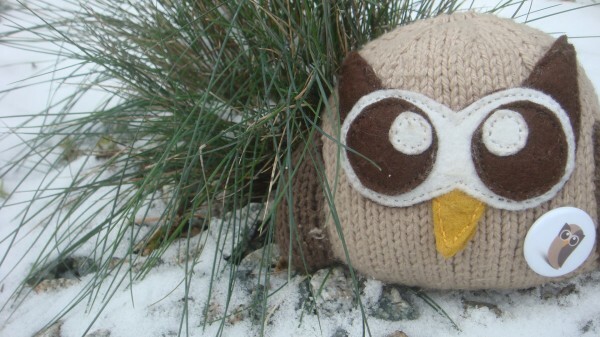 In today’s roundup, we’ve put together a collection of articles in response to Part 2 of HootSuite’s Twitter 2011 Trends. Along with coverage from Turkey, the Netherlands, and Spain – Mashable and The Next Web chimed in on what they thought of the infographic. Plus, learn how to use HootSuite to monitor for and post employment opportunities. 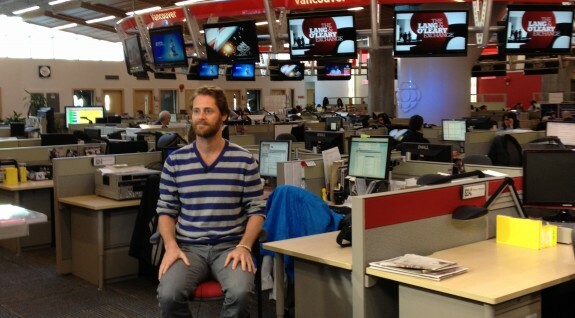 That’s not all, check out HootSuite CEO Ryan Holmes‘ recent appearance on CBC‘s, the Lang & O’Leary Exchange. 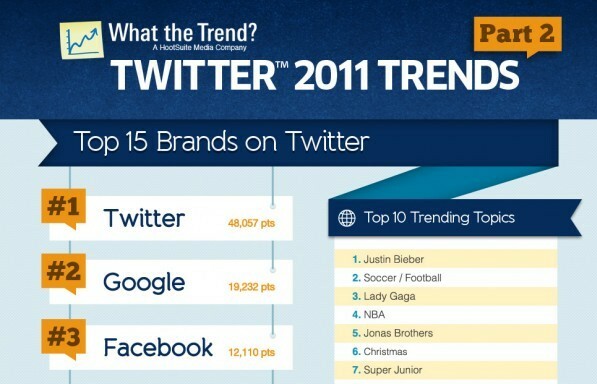 Last week we released Part 2 of the Twitter 2011 Trends infographic. Bloggers were quick to give their take on the top 15 trending brands of 2011 – including who they were surprised to see make the list, as well as insight into why certain companies were trending. As longtime Twitter addicts know, there’s little that people love to tweet about more than Twitter itself. HootSuite, maker of its eponymous social media aggregation tool, offered some evidence of that when it compiled a list of top 15 brands on Twitter. 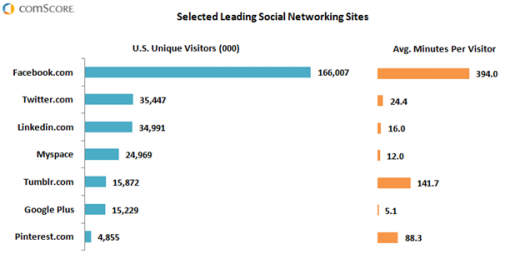 The result: Twitter itself topped the list. There are some pretty obvious members on this tweet elite list, like Twitter itself taking top spot, Google in the number two position and Facebook rounding out the top three. However, as with most of these year end lists, some of the top 15 businesses on Twitter in the past year are unexpected. MySpace is number seven on the list, for instance. Just barely squeaking it at number 15 on the Top Twitter Brands list was Waterloo’s Research In Motion. The BlackBerry maker was the lone Canadian company on the list, but tech companies overall were popular: Google, Facebook, Apple, HP, NetFlix, PlayStation, and even MySpace made the list (is it sad that MySpace still manages to trump RIM by a wide margin?). There are some obviously ones in this list, Google and Apple et cetera, and some strange ones here too. For instance MySpace is number seven on the list. Maybe with Specific Media and Justin Timberlake buying MySpace for $35m in June, we will see a resurgence in the now music focused social network. Finding a job in this economy can be an arduous and challenging task. Thankfully, with the emergence of new tools there are many ways to find opportunities. In honor of our recent post, “HootSuite is Hiring Developers, Developers, Developers!,” we’ve collected a few articles to help you find a job – maybe even a position at one of those top 15 trending brands. Shortly after HootSuite became a LinkedIn Certified Developer, self-professed social media fiend, Mark Ledden, put together a post on using the dashboard’s new search function to scour LinkedIn Jobs. Mark also wrote about his participation in the latest #HSUchat – Social Media Education For Your Career (Storify link). See what he had to say: What role does Social Media play in your job? In this video tutorial created for the Brazen Careerist, Elliot S Volkman takes us through the process of setting up search streams and using hashtags to aid in your job hunt. On the opposite end, Rachel Lai recently published two articles outlining a method for tweeting out job posts via an RSS feed – a great social media automation tip for human resource managers. …there’s a way to automatically have your jobs postings pushed to your various social networks if your recruiting software can generate an RSS feed of the new jobs you’ve added. All you need to do is set up a HootSuite account and link your social networks to HootSuite. You can then enter the URL of the RSS feed generated by your recruiting software into HootSuite’s RSS feed feature and any new job that’s added to your database, will automatically be pushed to your accounts on the various social platforms. This one time set up also provides you with the ability to set an interval period for Hootsuite to check your feed for new posts and set the maximum number of posts you’d like to push out at one time. For more information on automating RSS feeds check out this HootTip: How to Set up Your RSS Feed in #HootSuite. HootSuite CEO, Ryan Holmes, closed out the January 11th edition of the Lang & O’Leary Exchange, the CBC‘s business news series. In the interview, Ryan goes over topics such as HootSuite’s freemium monetization model, influencer identification, cutting through the noise of social media, and the growth of the dashboard’s userbase – 3 million strong now! Ryan was also featured recently alongside 12 other local leaders in BC Business Magazine. The article which shared Ryan’s bucket list was also included in a mini-profile on Techvibes. I want to build a billion-dollar company and take it to an IPO [/] exit, enable the financial independence of 50 people around me and build something disruptive, like how Netflix disrupted the traditional movie rental industry or how Apple rewrote music. Notable among them was Ryan, who in the piece stands out as an entrepreneur whose passion burns quietly but hotly, whose determination is calm and collected yet fanatically zealous in the most subtle ways. His goals are the lofiest, yet he states them as though they are the most humble of all. That’s it, that’s all for now! Remember, you can stay up to date with the latest from HootSuite by following @HootWatch for media coverage and @HootSuite for the latest announcements about the dash. Have a brilliant idea for the dashboard? Feature suggestion? Head to our Feedback Channel and share your thoughts. You can also vote up other people’s ideas there as well. Have you written an article about HootSuite that we should know about? Tweet @HootWatch to let us know!